The American Association for Accreditation of Ambulatory Surgery Facilities mourns the loss of two founding board members. 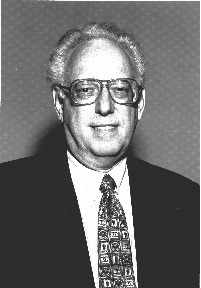 Dr. Edward S. Truppman passed away peacefully Saturday, Sept. 5 at his apartment in Aventura, Florida at the age of 84. He was founding president for the American Association for Accreditation of Ambulatory Plastic Surgical Facilities (AAAAPSF), which evolved into the American Association for Accreditation of Ambulatory Surgery Facilities (AAAASF). He recognized that outpatient surgery offers numerous benefits to patients requiring a variety of surgical procedures and those facilities must be held accountable for quality and safety. Thirty-five years later, AAAASF continues its mission of assuring patient safety by performing facility surveys and requiring peer review reporting of cases. Dr. Truppman graduated from University of Minnesota with a Bachelor of Arts in 1952, Bachelor of Science in 1953 and a Doctorate of Medicine in 1955. He served as a lieutenant in the United States Navy Medical Corps. 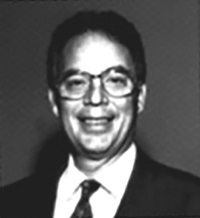 He was actively involved in the medical community serving as a founding member and vice-chairman on the board of directors for Palmetto General Hospital; chairman of the Department of Plastic Surgery at Parkway Regional Medical Center; Fellow of the American College of Surgeons; past president of the Greater Miami Society of Plastic and Reconstructive Surgery; past president and treasurer for The American Society for Aesthetic Plastic Surgery; past president and board of trustees member for the Florida Society of Plastic and Reconstructive Surgeons. Beyond much recognition lies a myriad of personal and unheralded stories of the lives touched by Dr. Truppman. He was a tremendous example of selflessness with a steadfast dedication to improving the lives of others with the soft touch of his surgical hand. Gustavo A. Colón (Pirulo) passed away Thursday, Nov. 12 at the age of 77. Dr. Colón was president of the American Association for Accreditation of Ambulatory Plastic Surgical Facilities (AAAAPSF), currently known as The American Association for Accreditation of Ambulatory Surgery Facilities (AAAASF). He believed that a personal relationship between the physician and the patient was an essential component for the provision of proper medical care. Patient safety remains the sole mission of the organization today. He was born in Ponce, Puerto Rico and grew up in New York City. He received a Bachelor of Arts degree from Johns Hopkins University and a Doctorate of Medicine from the University of Maryland. He subsequently completed his residency training in both general surgery and plastic surgery in New Orleans. He was board certified in plastic and reconstructive surgery and was a clinical professor of plastic and reconstructive surgery at Tulane University. He was a member of the American Society of Plastic and Reconstructive Surgeons and past president of The American Society for Aesthetic Plastic Surgery, as well as director of the American Board of Plastic Surgery. He was past president of the Louisiana Society of Plastic and Reconstructive Surgeons, past president of the Medical Staff at East Jefferson General Hospital, founding chairman of the board of Doctor’s Hospital in Metairie and past president of the Jefferson Parish Medical Society. Dr. Colón resided in New Orleans since 1965 and was active in many civic and volunteer organizations locally and nationally. He was a knowledgeable historian, a dedicated educator, an original artist, an accomplished stand-up comedian, a master of disguise, a devoted family man, a respected plastic surgery leader and an excellent surgeon. Both men will be greatly missed. AAAASF salutes their leadership over the last 35 years.